In 1982, teenage friends Sam and Will love the arcade. Sam nearly wins a world championship, but loses to brash, arrogant Eddie. In the present day, Sam is stuck in a technical services job while Will is the president of the United States. Sam’s fortunes change when his primary skills – retro video games – become in high demand, after Earth is invaded by aliens mimicking 1980’s era arcade games. There’s no adoption in the film. There is some sense of familial disruption that might resonate with kids who’ve been in the foster care system; one boy is in the midst of a parental break-up, he explains that his dad left his mom for a nineteen-year-old Pilates instructor. Another character confides that his marriage ended after his wife cheated on him with the infertility doctor who had been working with them. 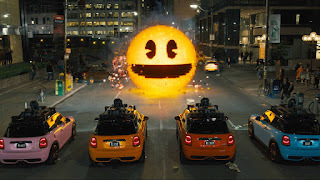 One of the alien invaders takes the form of Pac-Man. 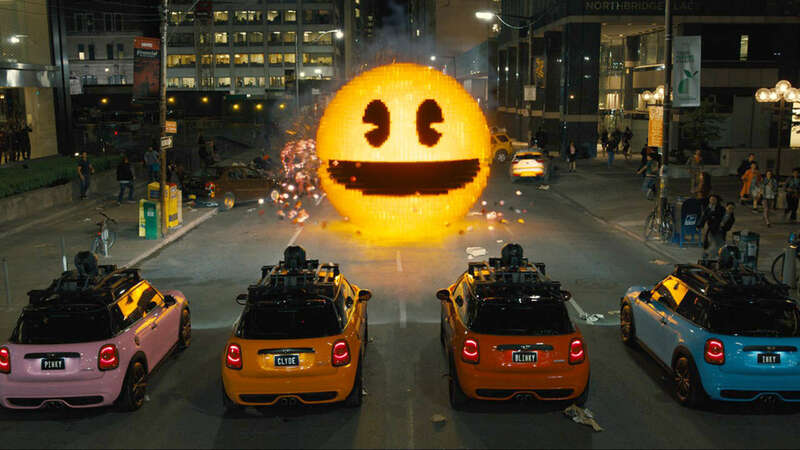 The creator of Pac-Man arrives and says, “you are my son. 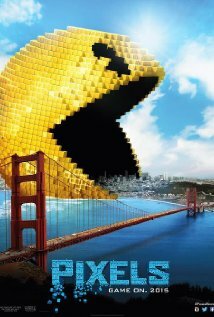 You are a good boy.” Pac-Man attacks him, and the creator changes his tune, ordering others to destroy Pac-Man. Even though their lives have gone in considerably different directions, Sam and Will are loyal friends to each other. 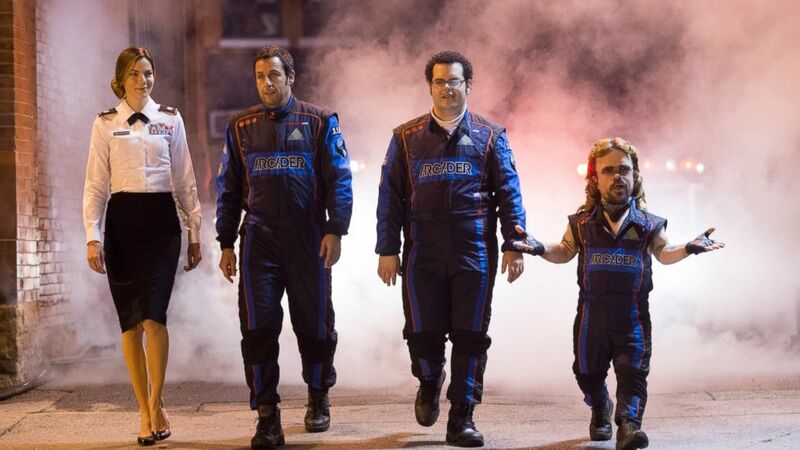 There is a positive message in the film that, even if your life has been disappointing so far, you have within yourself the potential to create something great. All of the violence is cartoonish, but some of it is still disturbing. Some adults and kids might find one scene disturbing where aliens abduct a child right in front of his screaming mother. She later goes to great lengths to try to get him back. All of the protagonists appear to have unhealthy, immature, or objectifying views towards women. 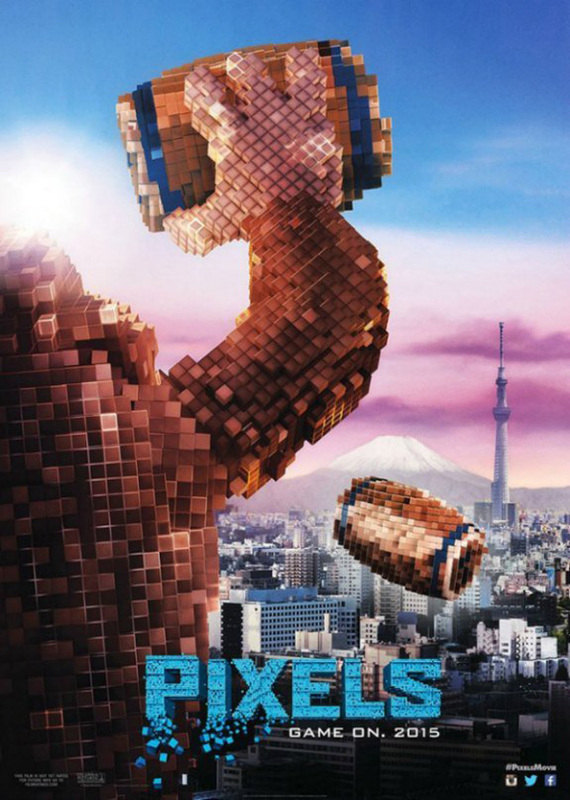 I have to disclose that I’m a retro video game nerd (I’ve even got several high scores at the 1984 arcade in Springfield, Missouri), and I’ve been personally looking forward to Pixels for a while. What’s the biggest, greatest thing you can imagine doing? How can you achieve it?